The APPLE Chief Executive Officer Timothy Donald Cook has forecast the next model. So peoples started digging through the code. And finally they found the secret and the secret is Apple’s next iPhone. Some details about apple’s redesign, high-end iPhone called as iPhone pro and iPhone 8, no one knows the official name yet. It had previous leaked. And they found this is not a rumor apple planned to releases in year. It confirmed that the phone size is ultra-slimmer than iPhone 7s plus, the latest invention by Apple would have a full-screen face with a virtual button on its screen. But they have also revealed that Apple is still struggling to launch fingerprint sensor into the display of their devices. Last three year’s iPhone cannot change the model of the iPhone. At the 10th year celebration Apple will make a smartphone like yet before seen.so they planned to improve a major upgrade in iPhone 8. Other basic specification is as same as iPhone 7s and iPhone 7sPlus. They realized that the same terminology used to register a new Touch ID finger had a face-authentication counterpart. They try to make a new unlock sensor so they stepped into infrared face deduction that makes easier to unlock the device. It has more protective than the fingerprint sensor. • In battery, Non-removable Li-Po 2390 mAh battery and it looks set to be the first to debut wireless charging technology. • In camera, there is 12MP rear camera with f/1.8 aperture, phase deduction auto focus and quad dual led tone flash. Also 4k video taking support secondary rear camera 8MP with touch to focus and face/smile detection, HDR. in front camera there is 7MP with f/2.2 and it has 1080p in 30fps, 720p in 240fps, face detection, HDR, panorama. An unusual vertical dual rear-facing camera. • In sensor, Fingerprint, accelerometer, gyro, proximity, compass, barometer. • In memory, it runs with 4GB of RAM along with 64GB/128GB/256GB of ROM and there is no expendable memory card slot. These leaks detail Apple unreleased iPhone to a previously unthinkable degree. In 2010 as same as happened for Apple iPhone 4’s. The minimum of this design and lack of a Home button mark the iPhone’s most significant in years. The face-ID feature seems to be an end point of the company’s eventual introduction of the phone. Apple CEO Tim Cook said during the company’s most recent meeting and he said we are seeing what we believe to be a pause in purchases of iPhone. 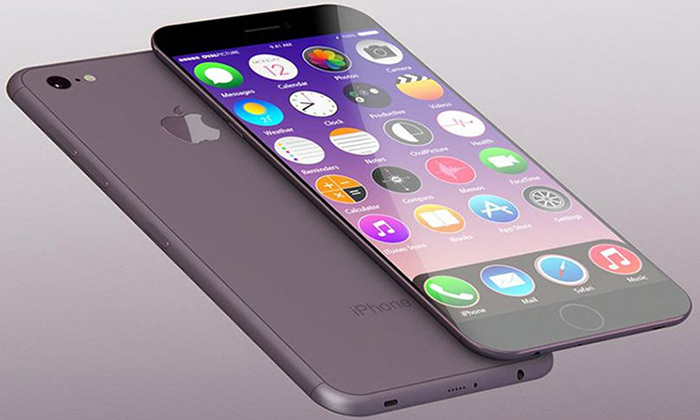 Which we believe is due to the earlier and much more frequent reports about future iPhones. At least no one can blame apple, but itself. One thing is to confirm that Apple will release its hottest iOS device iPhone 8 in September, most probably on 9th September.